KUALA LUMPUR: An internal investigation on the missing RM18bil from the trust fund to hold Goods and Services Tax (GST) refunds was conducted to identify the circle of decision makers. Minister of Finance, Lim Guan Eng said, the former Treasury Secretary General (KSB) being one of the “highest authorities” might be responsible for the missing refunds. Guan Eng said, the previous Government definitely had committed wrongdoing over the missing amount. All the money collected from the tax-payers should be put in the trust account and not in the consolidated account. “The money was not returned to the trust account. Only the highest authorities can decide on this and why didn’t they put in the trust account? The trust account is very important account and by not doing so is already a wrongdoing. “The previous KSB is in the know as well as others. We want to identify them and then ask the Prime Minister and Cabinet to decide how to proceed from there,” he told reporters at the Parliament lobby on Wednesday. Lim said, the money should be in the trust fund but instead was put in a consolidated fund and treated as government revenue. “The former government spent the money to cover up deficits or finance development projects. They did not state the amount and for what specific purpose,” Guan Eng added. However he said, the Federal Government has a moral imperative to return the refunds to the tax payers and that the money raised to do so will be fiscally responsible. 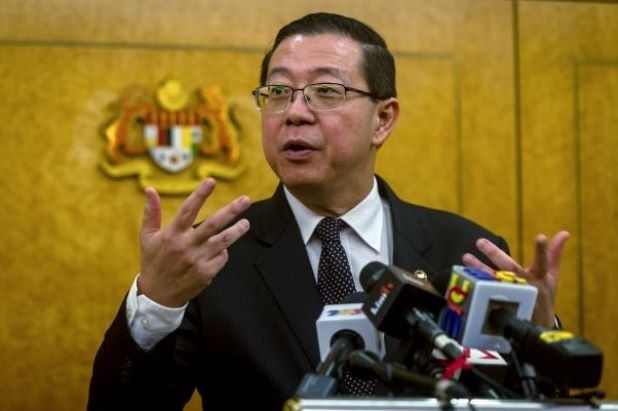 On the question of whether former Prime Minister Datuk Seri Najib Tun Razak is likely to be linked to the missing fund, Guan Eng said, it should be decided later once the investigation is completed. He said it is not appropriate for him to say or prejudge anything as Najib is facing many charges now.